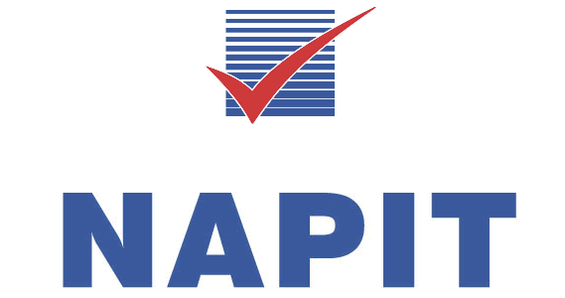 Mr Mathew Carver, head of Lucas Electrics is an NAPIT approved electrician and is very highly qualified. He has been qualified for 20 years. During this time he has undertaken everything from complete hospital refits to changing domestic light switches. Originally from Australia, Mathew now lives in the Hanover area of Brighton with his family. Mathew also believes in bringing on young people and giving them a future and has trained several apprentices to become a professional electricians. Lucas Electrics is approved to provide you with a ‘Part P’ electrical safety certificate as evidence of compliance with building regulations (building-regs.org.uk). We are members of the National Association for Professional Inspectors and Testers , and are commited to supplying work to the highest standard. We do not need to go to another company to get our work approved. We are qualified to certify our own work, providing you with the peace of mind and the certification that you need. 17th edition electrician We are conversant with the 17th edition of the IEE’s wiring regulations (BS 7671: 2008). From July 2008, all commercial, domestic and industrial wiring installations must be designed, constructed, inspected, tested and certified to 17th edition standards. C&G Inspection & Testing 2391 Our City & Guilds Inspection & Testing 2391 qualification means that we are equipped to inspect, test and certify all electrical installations. We can provide periodic inspection reports for landlords and homeowners as part of their HIPS requirements and can certify all other relevant work. BFPSA Fire Detection Installation & Testing BFPSA Fire Maintenance Safety is our priority at Lucas Electrics and we are fully qualified in the installation, maintenance and testing of fire alarm systems. Our qualifications are awarded by the British Fire Protection Systems Association (BFPSA), now known as the Fire Industry Association which is the leading body within the fire protection industry. Our fire alarms are wired into the mains, providing maximum protection as well as battery back up in case of power failure. Fire alarms save lives. 24 Holland Street, Brighton, East Sussex, BN2 9WB. Vat No. 273896157 U.K.